We really have had a beautiful week in the Loire. Everyone in France this year, particularly in Paris, has been complaining about the awful spring weather and it was no better in Blois. 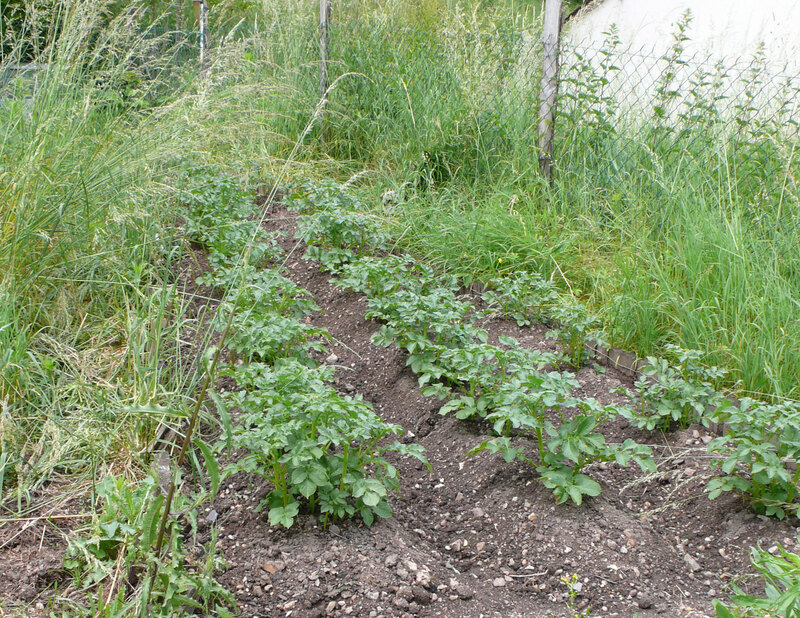 But when we came back last week, the potatoes we’d planted in the rain two weeks before were looking very happy (and so were the surrounding weeds of course!) and the vegetation, especially the roses, was flourishing. The good weather stayed with us and as a result, we were able to go cycling several times. Our last excursion was to the nearest village, Chouzy sur Cisse, about 5 kilometers away, in the opposite direction from the centre of Blois. Being on our bikes, we were able to take a dirt road running parallel to the main highway along the Loire, thus avoiding the 70 kph road I’m not so keen on. The entrance to the village is not particularly attractive, but in the centre there’s a butcher (very handy for barbecues), a baker, a little supermarket and a hairdresser. I had seen a sign saying “plan d’eau” which generally means a small lake so we kept going and, to our surprise, came across a lovely little stretch of water next to the Cisse. The river itself is very picturesque with yellow waterlilies and water irises. 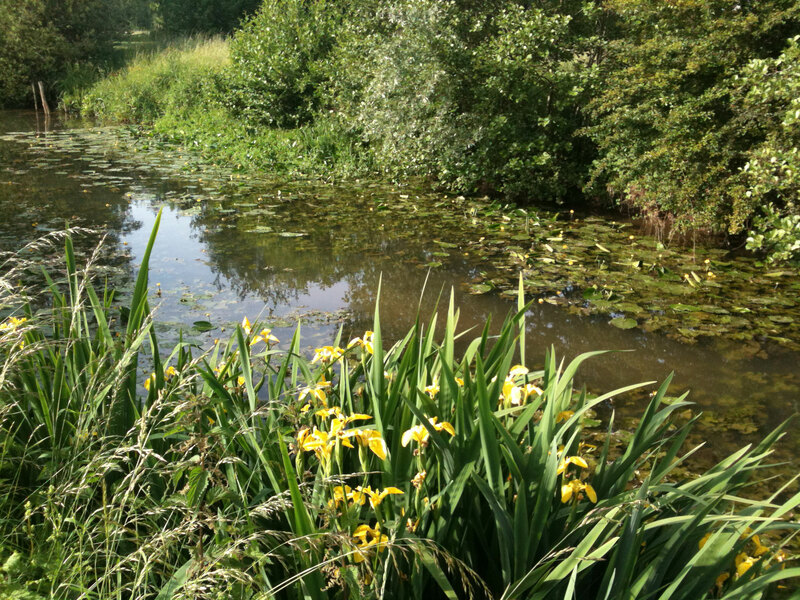 We followed the path along the edge and found ourselves cycling along the river past lots of small market gardens. 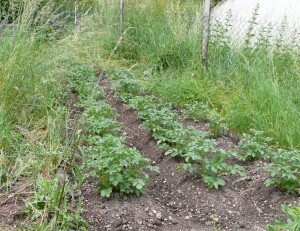 One even had a whole row of lilies-of-the-valley. Relationnel consulted the map and said we could take Rue Beaumont. I groaned inwardly because the name means “beautiful rise” which obviously means cycling uphill. We were rewarded though because it took us onto a flat though bumpy road through the forest. Suddenly Relationnel stopped and said, “Not sure what it is but maybe … “. I continued cycling but soon realised he wasn’t following. I looked back to see him waving frantically. “You should get out the camera”, he said as I got closer. What a find! Several large fresh summer cep mushrooms. Now one of the reasons we chose Blois for our retirement is its proximity to a state forest so we can pick mushrooms in the autumn, so finding such wonderful specimens in summer is extremely promising! We cooked them in the frypan and ate them with our côte de boeuf! This entry was posted in Cooking, Cycling, Loire Valley, Uncategorized and tagged Blois, Chouzy sur Cisse, Loire Valley, summer cep. Bookmark the permalink. I like the criteria for choosing a place for retirement – somewhere to go mushrooming. I wonder if this is a French trait associated with the passion for good food? Not sure I have heard of it being a criterion in Australia. Well, it was only ONE of the criteria (another being a river to fish in …). Relationnel knows everything you can eat in the countryside. I forgot to mention that there were wild strawberries just next to the mushrooms. Not being a strawberry eater myself, I picked them for him while he was searching for more mushrooms in the bracken! A neighbour took us mushrooming in our early days here, pointing out the ones we could eat, but we’ve never dared go on our own! I’m a wimp. I buy my mushies from the supermarket. That one of yours looks yummy though! Ah, what a pity! From the description of your place, there must be plenty of mushrooms just waiting to pick. Some are more difficult to recognise than others, but this particular type (cèpes) are totally recognisable and there is no possible confusion – the button head, spongey underneath area (as opposed to gills) and fat stem. 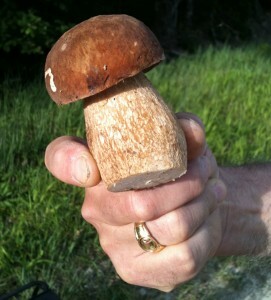 You might like to read one of my earlier posts about boletus mushrooms explaining how to recognise them http://www.aussieinfrance.com/2011/10/wild-mu_/ You really have to try!